Find maps, tour information, entertainment, locally made art and gifts. 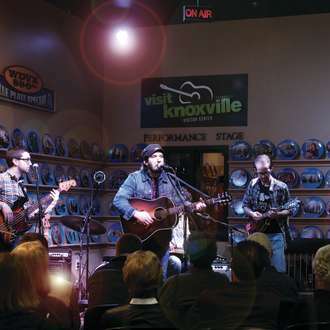 Stop by the Visitors Center Monday through Saturday and enjoy free live music from 12 - 1 PM. We're here to help you plan your visit. Be sure to ask us about local hot spots, walking tours, trolley schedules, kid-friendly outings, upcoming events and more. You can also shop at our online store and have gifts shipped directly to you!